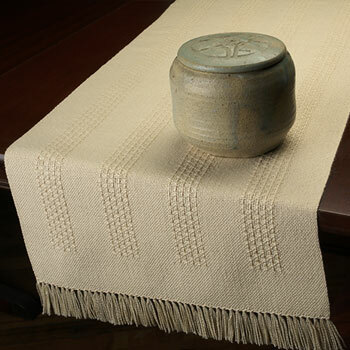 Pictured: Texture Stripe Handwoven Table Runner in Alabaster. 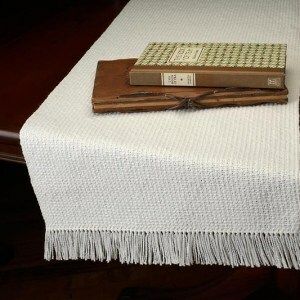 The Texture Stripe Handwoven Table Runner is especially versatile, lending itself well to an all-occasion table without scrimping on good ooks. And, who doesn’t like vertical stripes? Their symmetry offset by the plain weave just please the eye. 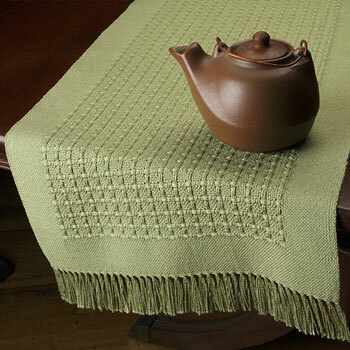 Sizes listed are approximate and reflect the nature of hand weaving. If the runner you want is out of stock please contact us at bewovenstudio@gmail.com. We will let you know how soon more will be available.